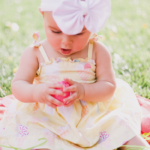 If you’ve been following my blog for awhile, you know we have a full house with a dog, cat, and two kiddos. But what you may not know is about 6 months ago, we made the decision to try pet sharing with our cat! Things get chaotic when your family grows, so we now pet share so he lives with us part-time and with one of my best friends part-time. Animals crave consistency, so the No. 1 thing that we prioritize when cat sharing is serving the same food. They really do get unhappy with change, so this is the most important thing to keep the same. 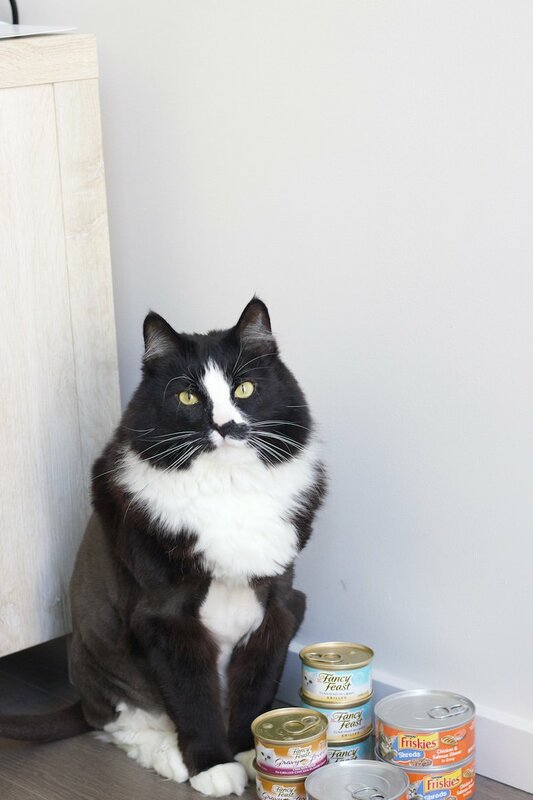 Rico is a gravy lover, so we like to pamper him with Fancy Feast® Gravy Lovers. He likes pretty much any flavor variety! But I typically buy the Tuna Feast in Gravy as I’m pretty sure it’s his favorite. It’s such a treat for him, and he gets excited as soon as he sees the can. We have this little joke in our house where we “jog” to the bowl and he full-on runs after us, that’s how much he loves it. 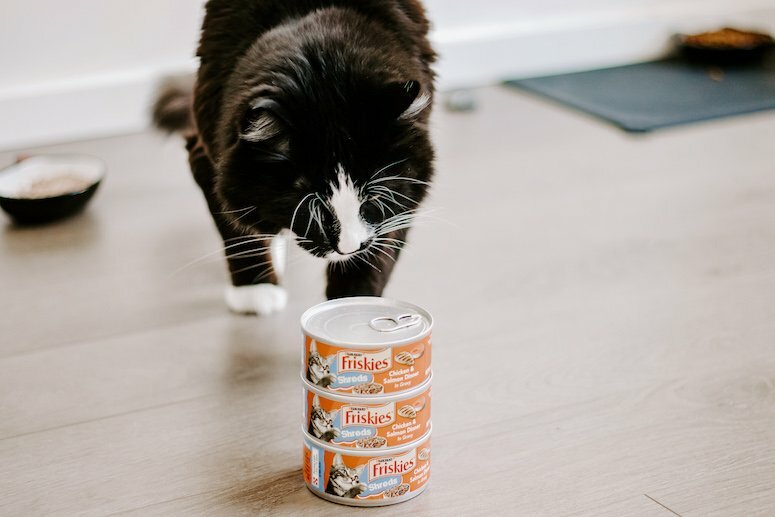 There seems to be a misconception that wet cat food is just for occasional treating, but that’s not at all the case. 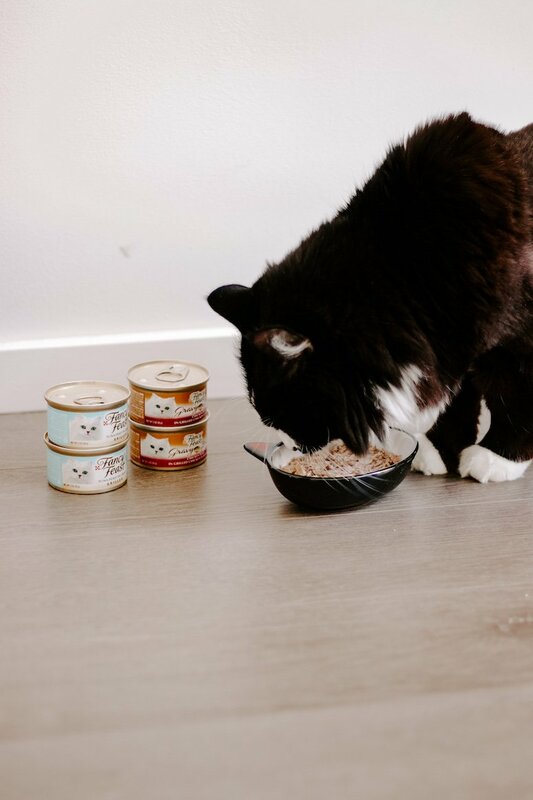 In fact, we feed him this daily as wet cat food provides hydration and complete nutrition for healthy cats. In fact, he gets more water through wet food than dry food alone! That’s so comforting to us because most cats don’t drink enough water. And it’s especially important since we live in the dry, Arizona desert. We also purchase the Friskies Shreds, which he finds so delicious! It’s high in protein, which is great for lean muscle, easy to digest and he truly loves it! Rico is a bit of a picky eater, so it’s nice we found something he loves and that’s so good for him. We love, love, love our pets. After all, they were both our first babies! But the fact of the matter is a house full of babies, both the furry and non-furry kind, can be a lot of work. 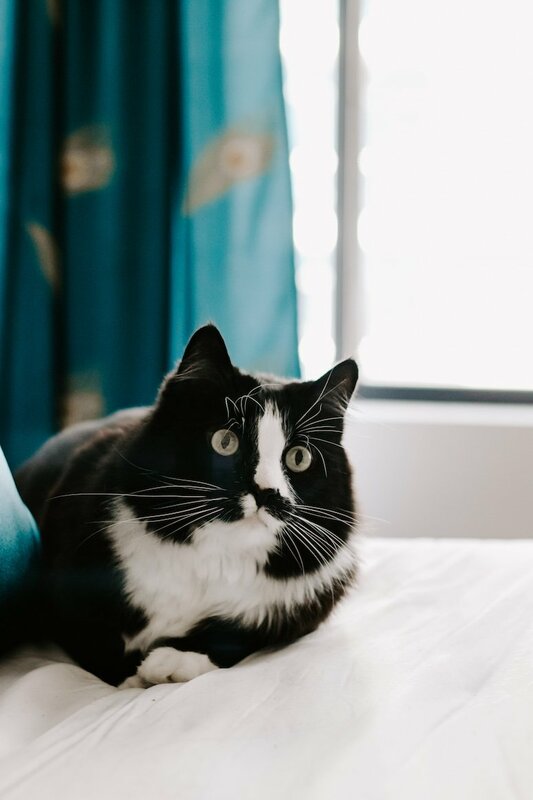 We noticed our cat was not getting the attention he deserved, and was a little bothered by our toddler constantly chasing him, but we didn’t want to give him a new forever home either! There are a lot of reasons people may decide to start pet sharing. Maybe you travel a lot for work or maybe your new landlord doesn’t allow pets. Whatever the reason, it’s a great alternative to giving your pet a new permanent home. This can work if you really want a pet, or already have one that you love, but can’t take on the responsibility of full-time care. Now when Rico comes over, it’s such a treat! The kids get excited (as do we, of course) and it’s like a fun family reunion. When Rico is with us for a few days, we keep everything the same as when he was last with us. 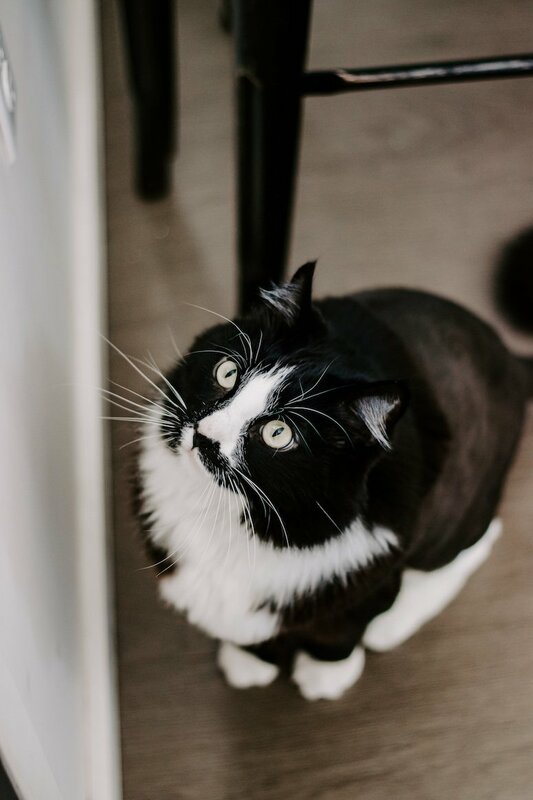 Aside from stocking up on treats and a few cans of Fancy Feast, we also never move his litter box and pretty much keep to the same routine. For us, that means feeding him treats at night and inviting him into bed for cuddles. Whatever your routine is, it’s really important to stick to it. So if you always feed at night, do that. If playtime is in the morning, continue doing that. They may seem like little things but it all makes the transition that much easier! So, What’s a Pet Share Look Like? I’ve seen more and more stories floating around online about how to pet share, but I think you can really set this up in whatever way works for you! For us, it’s a bit of a no-brainer because it ended up working out with a close friend. So he comes to visit whenever she leaves town. Or, if it’s been a long time, we just say we miss him and he’ll come visit for a few days. We love our cat dearly, and now he’s extra spoiled with two homes. Have you ever thought about trying a pet share? Let me know in the comments below! Thank you for sharing this! I have never heard of this before, but love it. Your cat is adorable too! Oh, this is such an interesting concept! I’ve always considered this before but thought it was healthy for animals. I’m glad you found a good way to balance it out! I WILL NEED TO TELL MY NEIGHBOR ABOUT THIS! SHE HAS TWO CATS. What an interesting and unique idea. 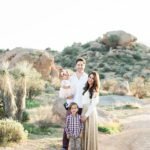 I could see how this would be a great option for many families! Wow I’ve never heard of this but what a great idea! I’ve never heard of pet sharing before. I’m glad it’s working so well with your family and that the fur baby is happy! What a neat idea! I had never heard of this before. I wonder if someone would be willing to kid share lol Only kidding! pet sharing sounds like a great idea for those who cant be home a lot with their pets. this is great! I had never heard of pet sharing but it sounds like a great arrangement. He gets twice the love! This is so interesting – I have never heard of this before! whaaat that is so, so cool! 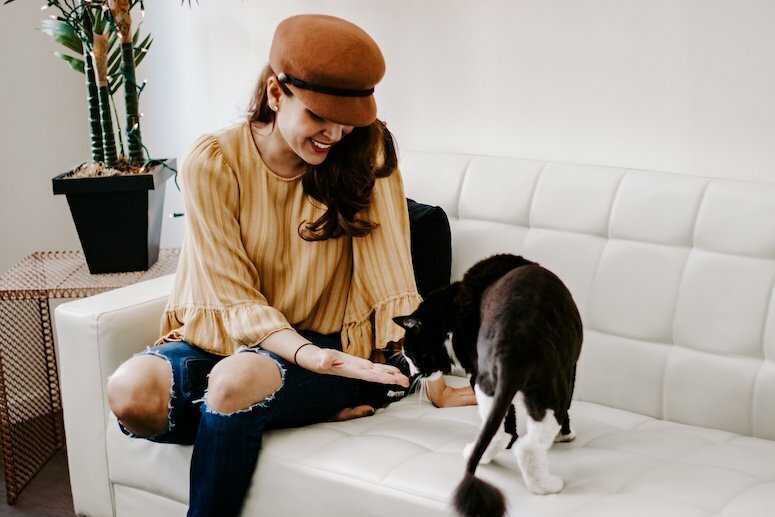 I have never heard of pet sharing before and it really does seem like a great way to get a bit of break / more balance in your life and still be able to give your pet the attention they deserve. love it! 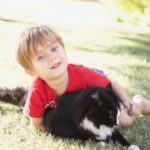 I’ve never heard of pet sharing before, but it sounds like it works well for your cat and family! 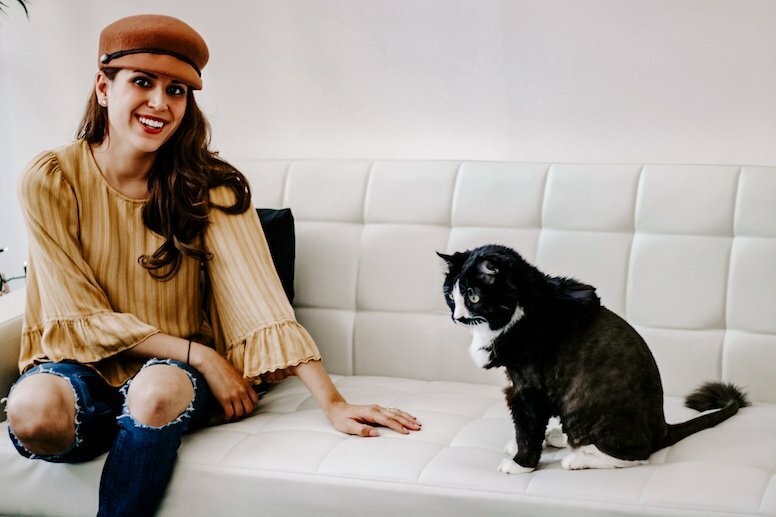 I’ve never heard of pet sharing, but it sounds like it was a great solution for your fur baby to get lots of love along with a little peace and quite! Haven’t heard of pet sharing before but its a good idea!